With the increase of offshore marine projects over the decades, demand for a cost-effective and efficient risk-based approach for the mitigation of UXO (Unexploded Ordnance) has become a priority for offshore construction teams. From the numerous projects for the offshore renewables and major gas distribution projects in North West Europe it was learned that offshore UXO mitigation is mostly a survey issue, as the survey industry can provide the tools to locate, identify and manage potential UXO. This article suggests a best practice strategy coming from experience gained with offshore marine project management and modern survey methods. In the more recent years, offshore renewables projects have raised awareness of the UXO threat to marine construction teams. The toll of many dead and injured makes it an important HSE risk 1 and delays caused by dealing with unexpected UXO bring a cost increase of tens of millions of euros to the project as well as discussions about the responsibilities during the project 2. Also, manipulation of the seafloor during the survey and construction work may trigger detonation of the ammunition that may or may not be directly touched. There is a requirement to mitigate the UXO risk situation in projects with a pragmatic approach that is both efficient and cost-effective. Traditionally, the UXO risk was met in the installation phase of projects once all route and position decisions had been already made. Nowadays, design processes for offshore marine projects are approached with a so-called project initiation stage or Front End Engineering and Design (FEED) stage. During this stage, initial designs, for instance, on cable routes, potential production platform or turbine locations, form part of the early design studies. If no recent survey data is available for the area, a survey campaign should be organised and studies initiated that support the consenting process as well. The surveys should ideally be combined and undertaken in a multidisciplinary approach so as to have a more cost effective project organised and enable various related datasets to be interpreted both on- and offshore in order to choose, for instance, the geotechnical survey stations. When bottom intrusive surveys such as geotechnical vibrocoring or CPT (cone penetration test) are required, data from the geophysical surveys should be examined to identify potential UXO hazards. In the project preparation, stringent Safe Job Analyses shall be carried out with all project team members and procedures provided to manage the UXO risk. Where applicable, safety counter measures and kits should be supplied in case of potential chemical UXO. The generic UXO desk top studies make use of historical and other public domain sources, to identify the possible types of UXO in the construction area. Further, a risk-based evaluation shall be made, taking into account the proposed installation tool and methods together with the expected occurrence of specific UXO in the construction area. The desk top study could also provide the procedures for notification and cooperation with the relevant authorities and procedures in dealing with UXO. They can vary from country to country and it is relevant to identify the differences within, for example, the North Sea EEZ and territorial waters at an early stage. As Low as Reasonably Practical (ALARP) is a term often used in the context of safety-critical processes. The ALARP principle is that the residual risk after mitigation shall be minimised. For a risk to be ALARP it should be demonstrated that the cost involved in further reducing the risk is disproportional to the benefits gained. Based on the chosen construction methodology and selected location or route of the project, identified risks must be reviewed and survey mitigation revised as necessary. by a so-called surrogate trial. The desk top study should provide the surrogate weights and dimensions as identified for the specific areas. • Furthermore, a start should be made to evaluate all existing survey data assembled to highlight potential geology that could upset magnetometer readings due to the higher iron content found, for example, in clays or boulders. The outcome of this interpretive study should be used for the detailed design of the UXO survey plan. 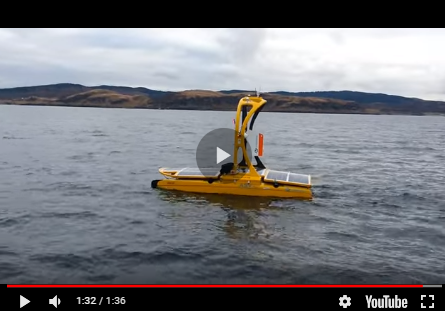 This phase is the geophysical sensor package survey, comprising of sensitive magnetometer/gradiometer, high-frequency side-scan sonar and, preferably, a multibeam echo sounder to identify surface contacts or sub-surface anomalies. This is also an opportunity to investigate the construction area using a parametric sub-bottom profiler that could assist identification of potential geology acoustically shaded by cover sand in the FEED phase survey and matched with potential magnetic anomaly readings. The survey should start with so-called surrogate trials, using cylindrical objects with iron content resembling UXO potentially expected in the area. These surrogate targets are temporarily placed on the seafloor and magnetic data recorded from different survey lines and various flying heights to demonstrate sensitivity and detection capabilities of the sensors (see Figure 2). In order to maintain an even flying height over the survey lines a remote operated towed vehicle (ROTV) could be considered. The typical outcome of this phase is a contact list resulting from gridding and detailed interpretation of all anomalies and contacts using modern software analysis. Further project risk can be eliminated by removing interpretational bias by providing data to two independent parties and then arranging a discussion to derive a final inspection list for the identification phase. The anomalies listed are the result of the changes of the earth’s magnetic field caused by a piece of iron. However, the presence of such anomalies is not actual proof that UXO has been identified. A combined survey and ROV team, advised by Explosive Ordnance Disposal (EOD) experts is required to positively identify each anomaly. A workclass ROV equipped with a heavy-duty dredge facility and various survey sensors and cameras will be used to physically investigate each anomaly location. Any such project should be started again with stringent Safe Job Analyses and procedures on the intrusive dredging and identification of an area with potential UXO. The ROV will mainly be deployed to relocate the identified anomalies and supplemented by a dredging plan designed jointly by the EOD experts and the ROV team. The nature of the object should be identified from real-time observations and acoustic cameras. Before starting any of these investigations the accompanying surface vessel should be kept at a safe distance from the potential UXO threat. It is relevant that precise underwater positioning control be provided by a combination of USBL, INS and DVL aided package. In most cases, some form of debris will be found and, depending on type and its proximity to the work areas, it is useful to have a workclass ROV that can be equipped with grinders and cutters to help reduce the impact of the object or assist with removal. Occasionally UXO are found and these range from small mortar to ground mines or bombs requiring further intervention. After identification of the UXO by the EOD expert and properly documenting the object according to prepared procedures, relevant authorities should be informed to arrange for a notice to mariners and to declare a safety zone. The removal and detonation of an UXO is a dangerous and costly operation and it could be considered an option to leave the UXO and reroute or reposition the construction. A risk-based assessment should be organised with the project team in consultation with the EOD expert. This assessment will consider the distance from UXO to construction activity, installation methodology and tools, positioning uncertainties and the extent of localised disturbance. In case of UXO removal, a proper project and HSE plan should be provided by the EOD contractor to identify and mitigate any risk for the project, depending on the legislation of the country concerned, as already identified in the desk study. After UXO removal or rerouting, installation can take place based on the survey results and ALARP standards. EOD companies in the sector are able to provide so-called sign off certificates, which could provide an additional insurance for the remaining residual risk to the installation. the installation phase, and from the HSE point of view a safe job analysis should include UXO awareness training for the project personnel. A UXO strategy should be started and implemented in the project initiation/FEED phase of an offshore marine project. As UXO are widespread within the EEZ of European states it would make sense for legislation and guidelines to be provided for a pan-European approach for an offshore UXO risk mitigation strategy based on the ALARP principles. The author would like to thank the staff of MMT for the provision of copyright material to illustrate this article.